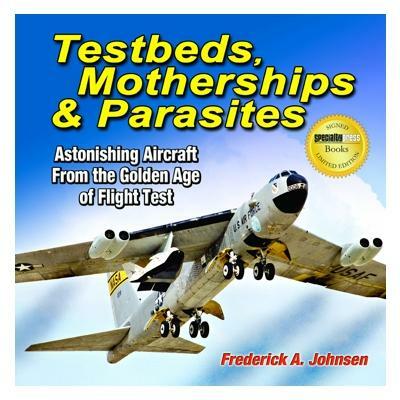 This book thoroughly covers every aspect of mothership, testbed, and parasite aircraft. Also featured are detailed appendices containing extensive reference material for modelers, historians, and enthusiasts, including a complete listing of known engine testbeds; a complete listing of known airframe mods and systems-test aircraft; and all combinations of U.S. and foreign motherships and parasite-carrying aircraft. Filling a void in major works about rare and exotic flight test aircraft, this book is the definitive work on the converted bombers and transports that served as the critically important launch vehicles to the headline-grabbing X-Planes. Covered are scores of aircraft of all types converted for use as "flying laboratories" to test engines, wings, cockpits, and aerodynamic devices all in the name of aviation progress. Also included are the "parasite" aircraft carried aloft to be launched and recovered by their motherships. With 204 pages and 12 detailed chapters in this book, it thoroughly covers every aspect of mothership, testbed, and parasite aircraft. Also featured are detailed appendices containing extensive reference material for modelers, historians, and enthusiasts, including a complete listing of known engine testbeds; a complete listing of known airframe mods and systems-test aircraft; and all combinations of U.S. and foreign motherships and parasite-carrying aircraft. Aviation history is filled with legendary aircraft, but in many cases, the design and development of these brilliant machines were dependent on significant inflight testing of new engines, advanced airframe structures, and the latest in flight control and flight-related systems. The availability of already-flying airframes that could be modified easily for specific airborne test work saved years of engineering time, not to mention the lives of countless test pilots who did not have to face airborne risks of the unknown.